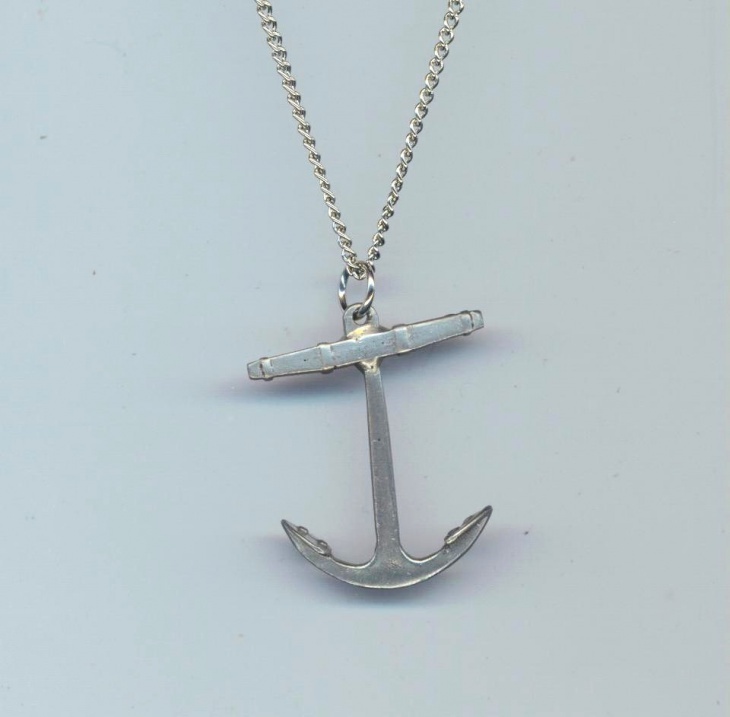 Anchor Pendants offer an elegant and vintage look that radiates style and confidence. 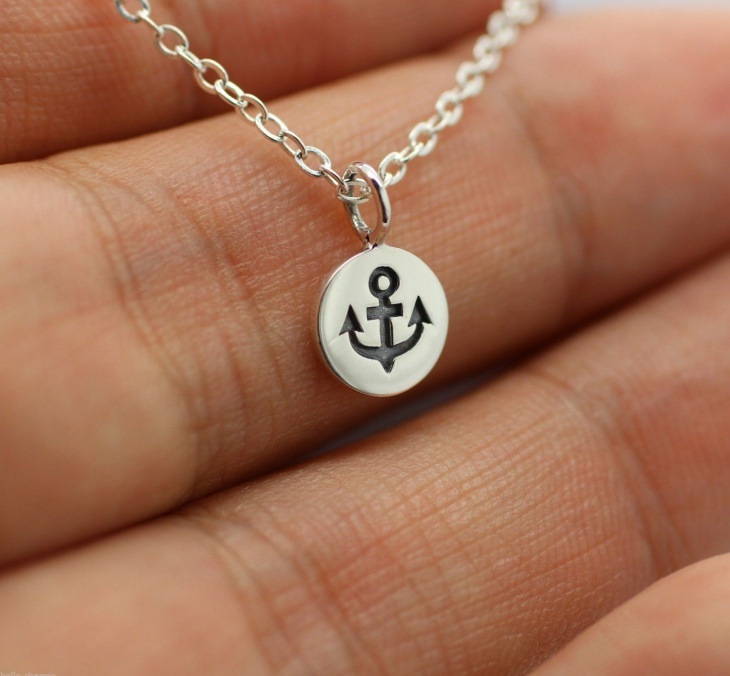 Pendants are special and an anchor design just takes it to another level. 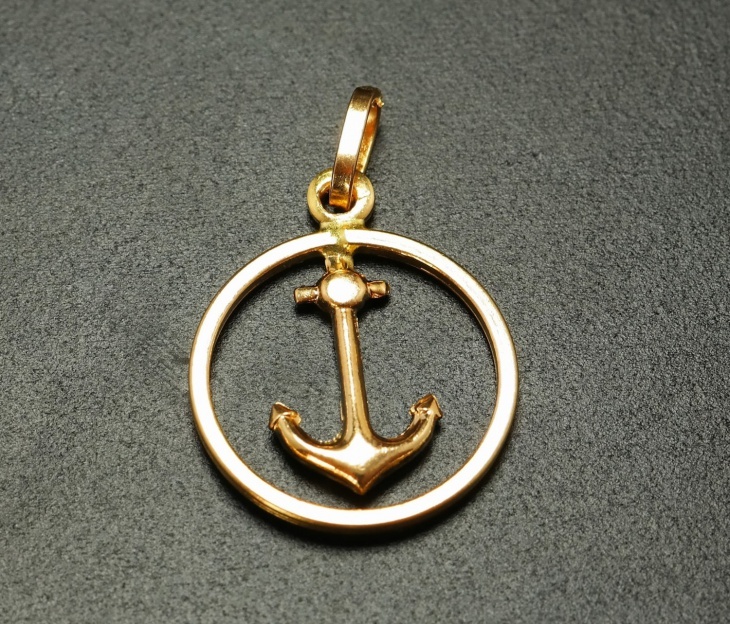 There are various designs of anchor pendants, in terms of shape, colors, and materials, for both men and women. 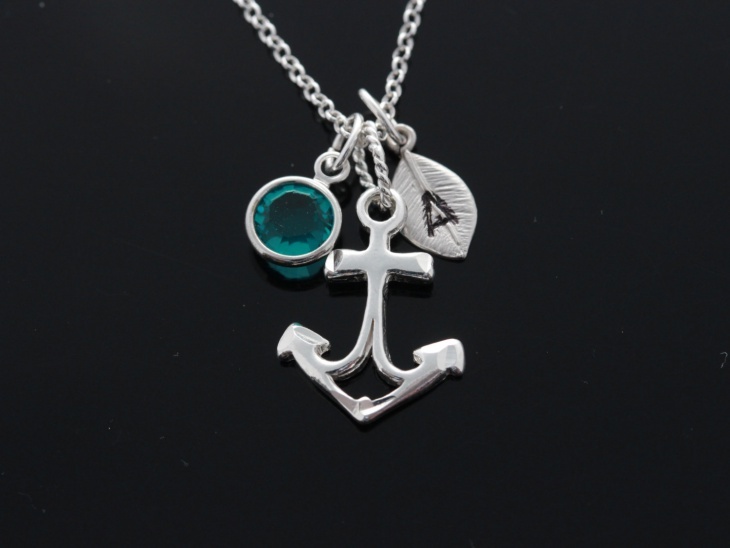 Heart pendants with anchor design are a popular trend. Beaded pendants are also in demand. 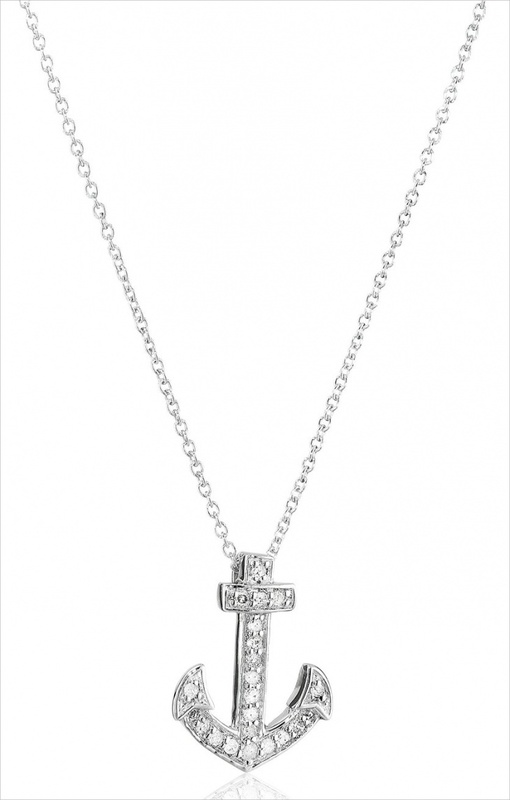 This anchor cross pendant features a bronze cross and an anchor shape alloy. 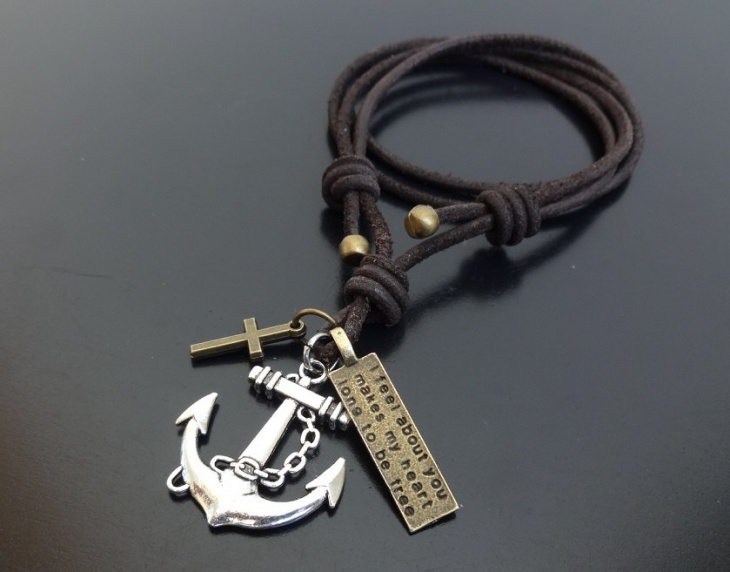 The adjustable necklace is made of 2.5mm distressed leather. This is a vintage and classic pendant for men. 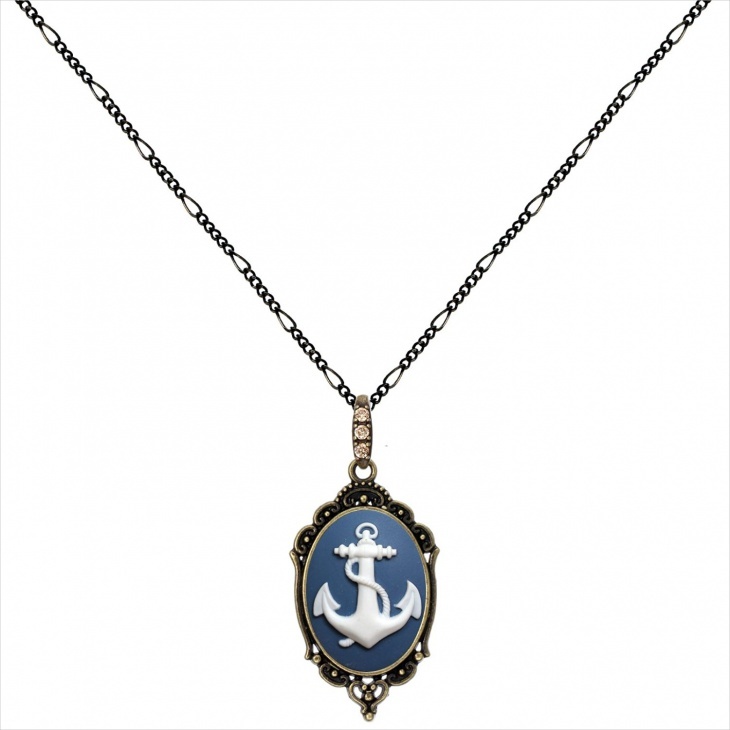 This antique anchor pendant has an antique brass color and comes with two chain pieces. The small pendant has a dimension of 1.40×0.94 inches. This lucky pendant makes for an impressive gift. 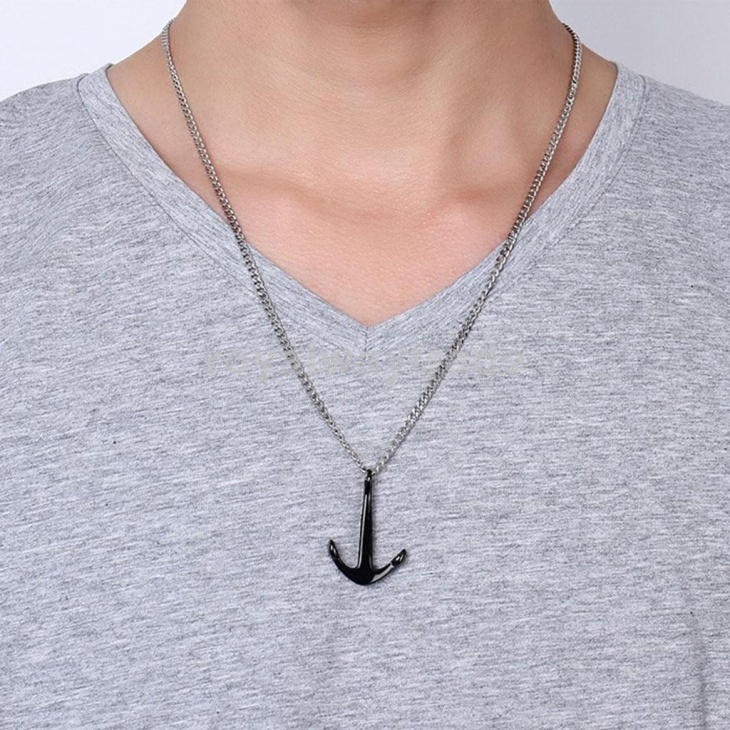 This stainless steel, black anchor pendant has a diameter of 3.5×2.1cm, and the chain measures 23.62 inches long. This elegant piece of jewelry is a birthday, wedding or anniversary gift. 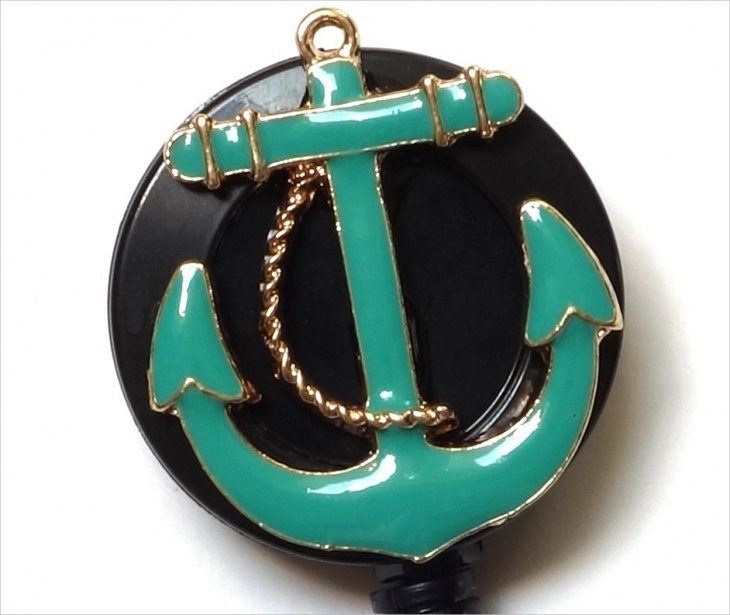 This enamel anchor pendant is made of zinc metal alloy and enamel. 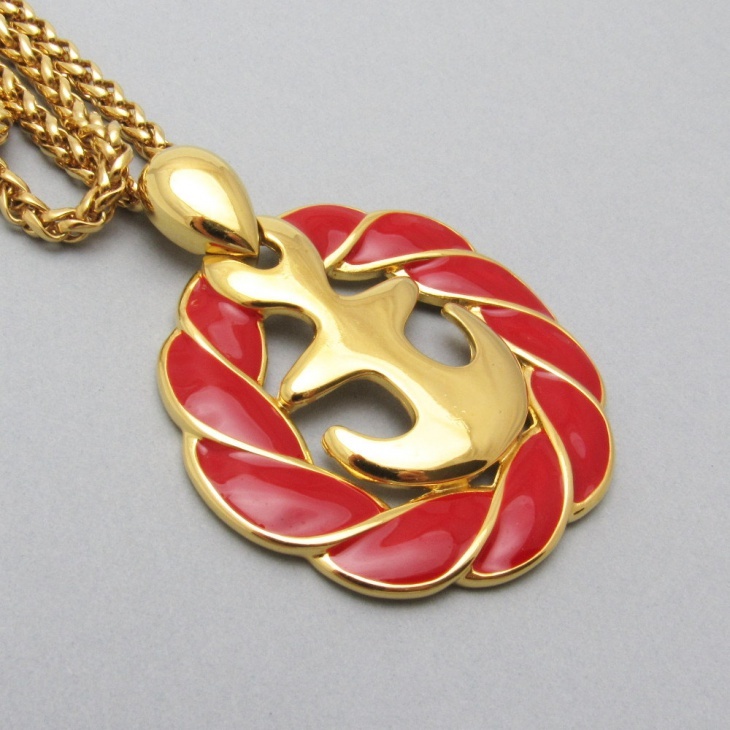 The pendant has a dimension of 30×26 mm and is 3 mm thick. It has gold tone, red, blue and white colors. 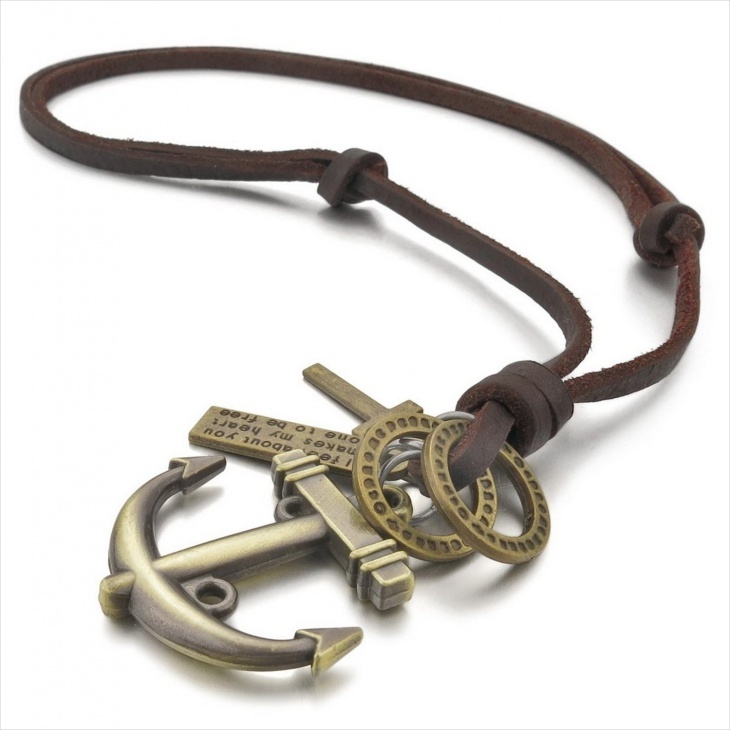 This handmade anchor pendant features a metal alloy pendant and a leather necklace. The pendant measures 1.57×1.61 inches. Gift this beautiful piece of jewelry to a loved one. This personalized anchor pendant includes .925 sterling silver pendant and chain, a Swarovski birthstone and a rhodium leaf. The birthstone and the initial on the leaf are customizable. 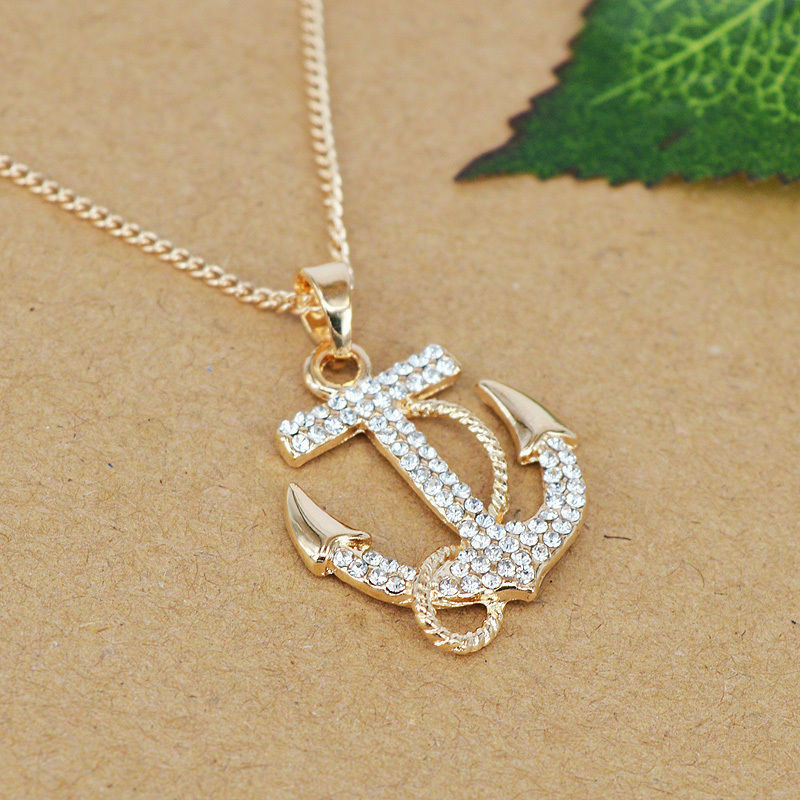 This diamond anchor pendant features sparkling round diamonds on the pendant. The sterling silver necklace closes with a spring-ring clasp. This fine piece of jewelry offers plenty of style and substance. 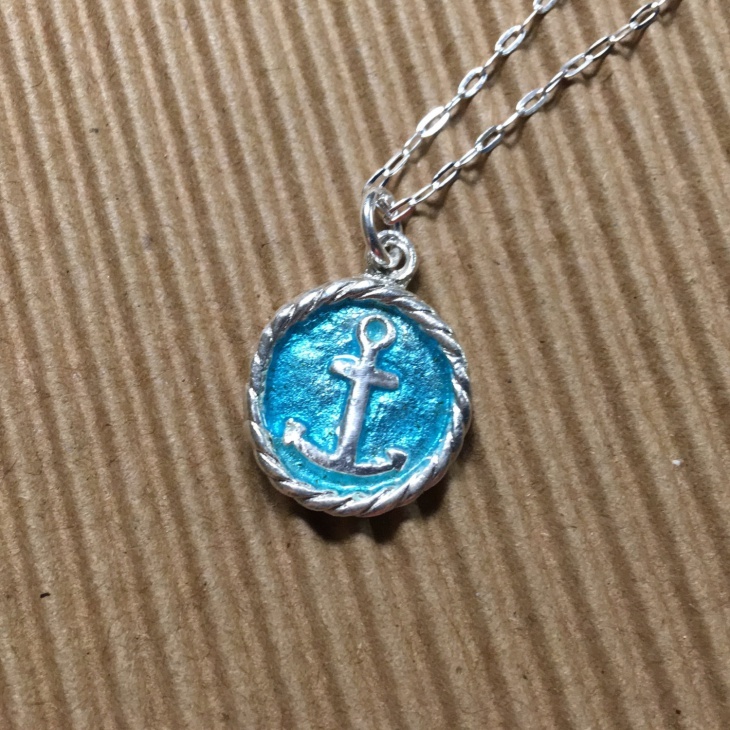 This is a vintage anchor pendant from the 1980s. The pewter pendant measures 30×26 mm and the silver toned chain are 24 inches long. 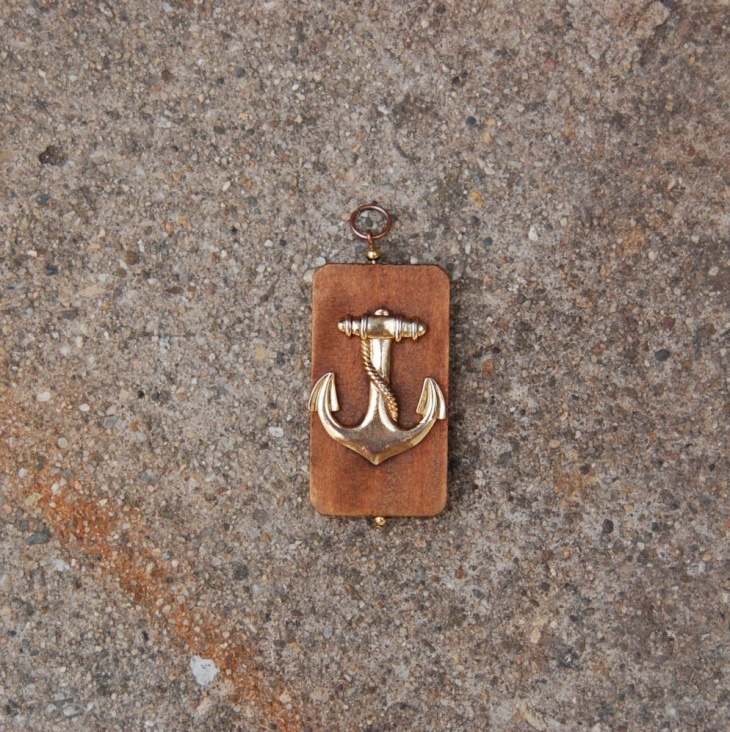 This wooden anchor pendant is simple and worthy. 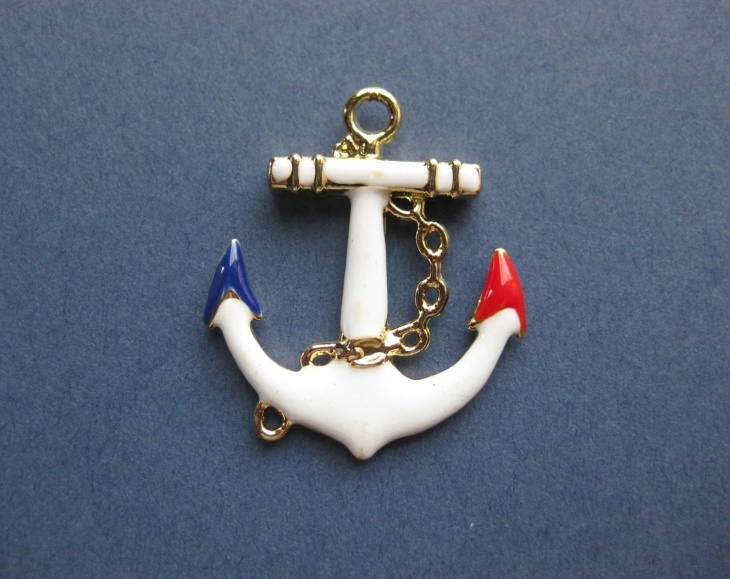 The anchor shaped pieces have a dimension of approximately 34x27x2 mm each. These are colorful decoration pieces for any purpose. 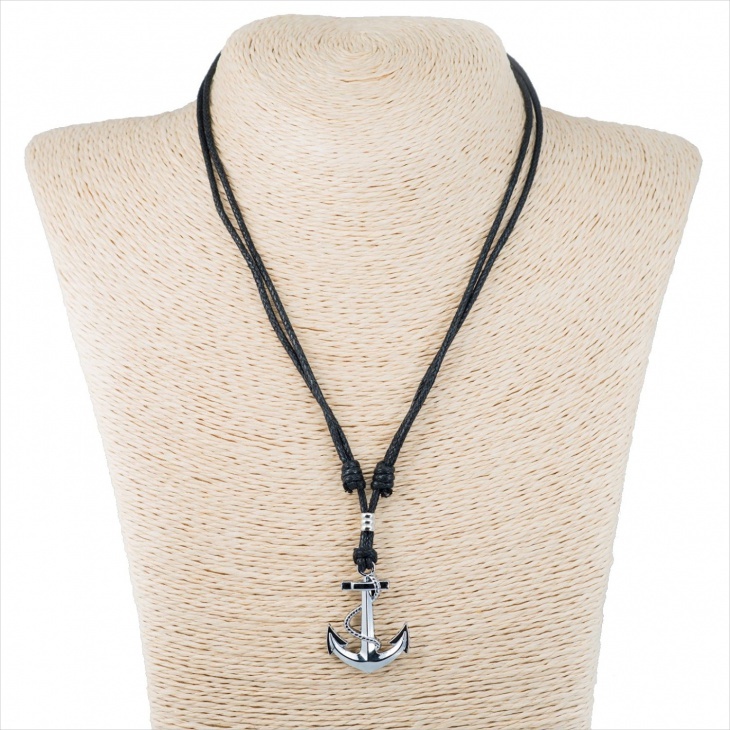 This men’s anchor pendant features a metal anchor pendant and an adjustable black cord necklace. The pendant measures 25x35x2.5 mm and looks simple and cool. 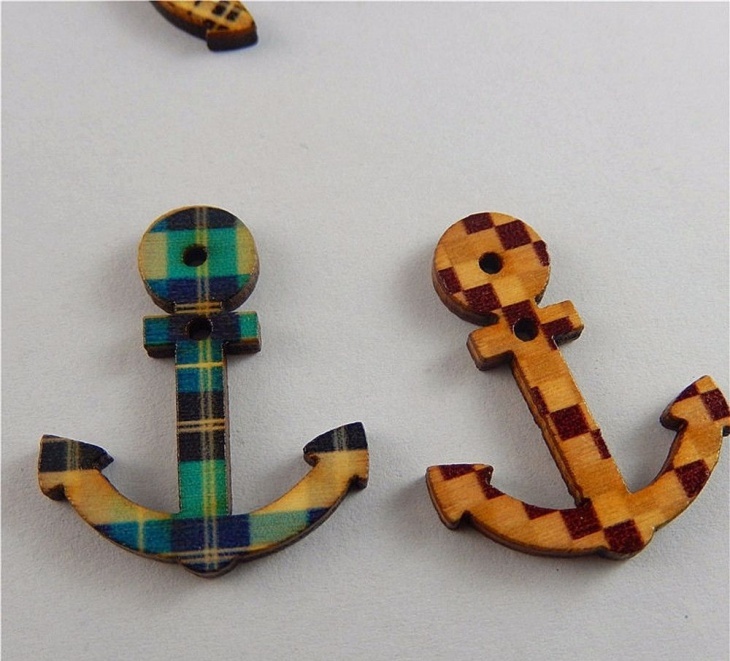 These were some fine anchor pendant designs. 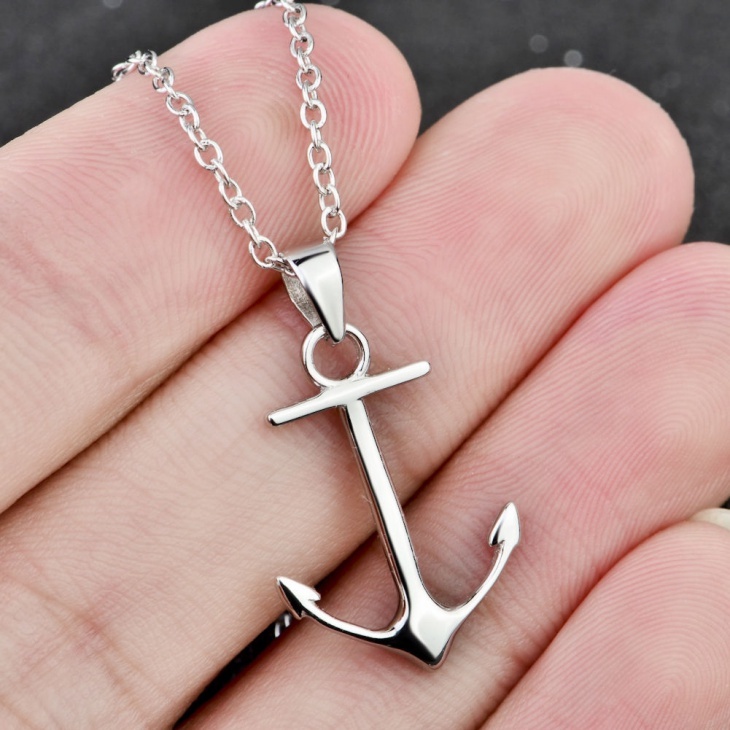 Explore the designs and select an anchor pendant of your choice. You can also go for an oval pendant or choose a stone pendant. Get a pendant that speaks about you and your style. Happy shopping!